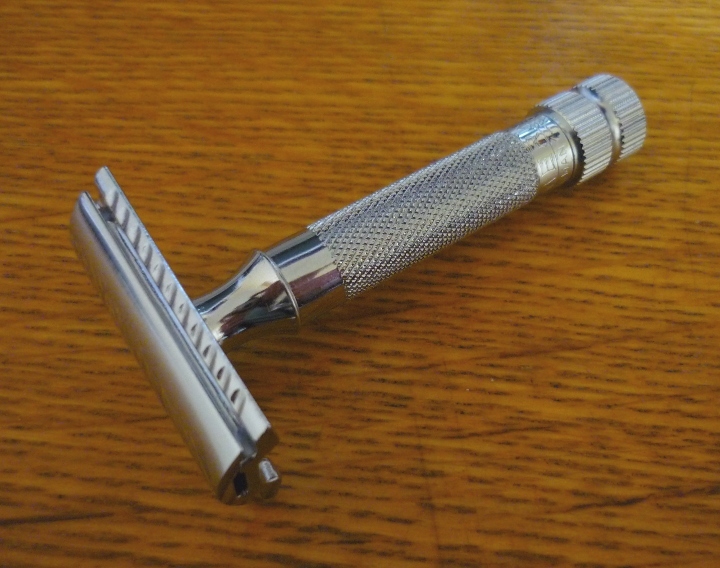 I toyed with the idea of buying a proper open razor but they are pretty expensive and need a bit of care, so I decided to look into ‘safety razors’ ie. those that take a double-edged (‘DE’) razor blade. Further research indicated that a good brush was also an integral part of the experience. 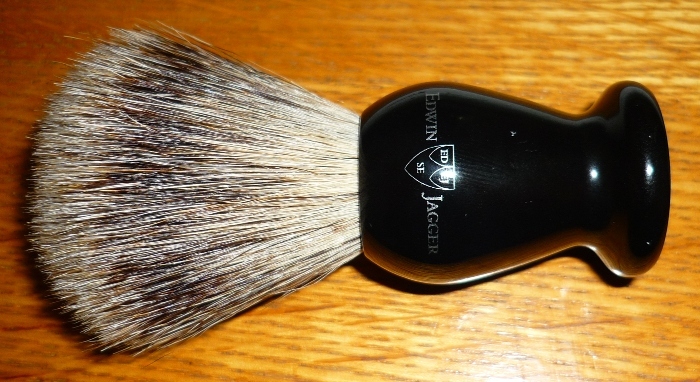 I decided to plump for the Merkur 34C and an Edwin Jagger Medium Best Badger brush. 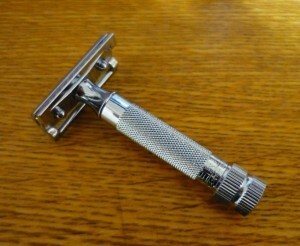 The 34C is the razor most often recommended to those new to DE shaving so that was an easy choice. There are several grades of badger hair used in brushes, and while ‘best’ is not the most expensive, it seemed most appropriate to what I wanted from a brush. I also picked up some shaving creams and blades. Before investigating wet shaving properly, I’d always felt the Wilkinson Sword brush was too soft to lather properly. I turns out I was using too much water on the brush and my opinion is now that it is too hard! I would be very surprised if I ever went back to a cartridge razor now. Just a suggestion but you’d be welcome to try our shaving oil. It’s great for a wet shave. Just email us your details and we will send you a sample.. perhaps you could review it for us then? Thanks for the offer! I’m always up for free stuff 😉 and would certainly be happy to review Total Shaving Solution on here for you.